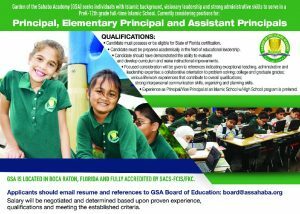 Candidate must possess or be eligible for State of Florida certification. Candidate must be prepared academically in the field of educational leadership. Candidate should have demonstrated the ability to evaluate and develop curriculum and make instructional improvements. Focused consideration will be given to references indicating exceptional teaching, administrative and leadership expertise; a collaborative orientation to problem solving; college and graduate grades; various life/work experiences that contribute to overall qualifications; strong interpersonal communication skills, organizing and planning skills. 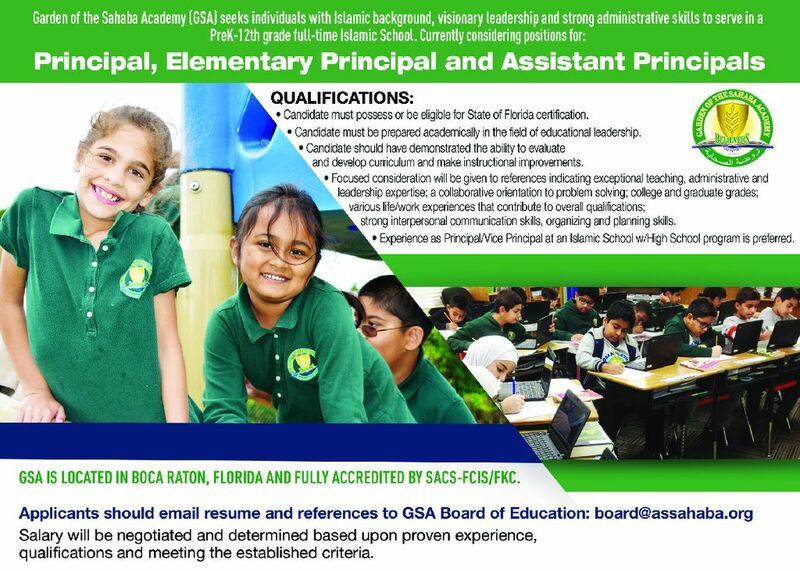 Experience as Principal/ Vice Principal at an Islamic School with High School program is preferred. Salary will be negotiated and determined based upon proven experience, qualifications and meeting the established criteria.